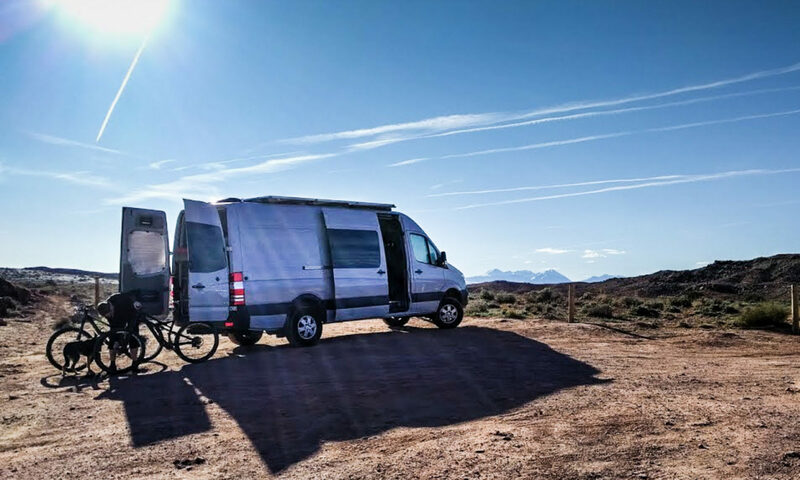 We’ve talked already about how we insulated the van, and even made a massive comparison chart of the different types of insulation products you can use. We’re really happy with the level of insulation in the walls and roof of the van, but all of that is pretty much pointless if the windows stay exposed. The windscreen sun shade and the window covers keep our van at a much more even temperature. 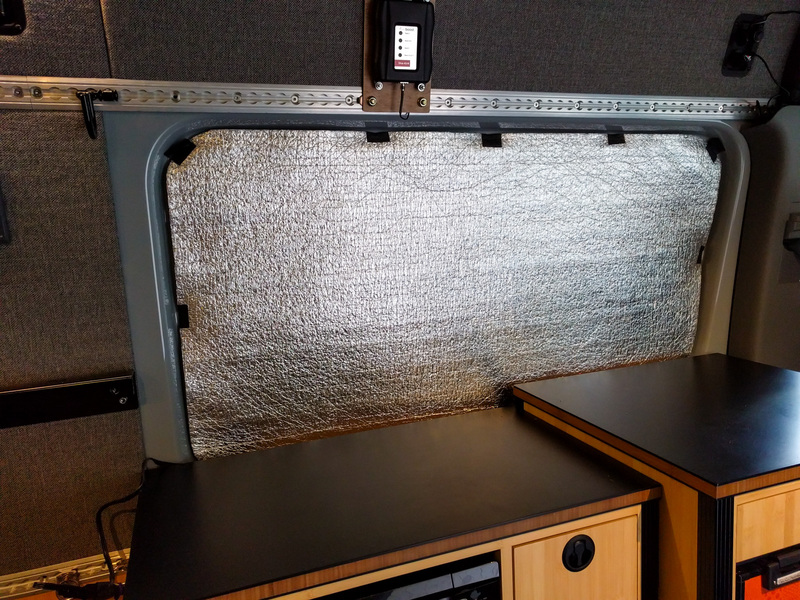 With the covers in place, the van stays much cooler in the sun and much warmer during the winter. Building the shades for the flat windows was easy enough, but it worked out cheaper and much easier to just buy a pre-made shade for the windshield. The CoverKing shade is a great fit, so long as you don’t roll it too tightly while you are storing it. Create a template for each window shape from cardboard. The driver and passenger windows and the rear door windows are mirror images, so only one template is required for these. However, the sliding door and the window behind the driver are different shapes. You’ll need separate templates for these two. Transfer the template to your Low-E using a marker pen and cut it out with scissors, or just slice around the template with a razor blade. Once you’ve got the Low-E piece, you may need to trim it slightly to fit perfectly. 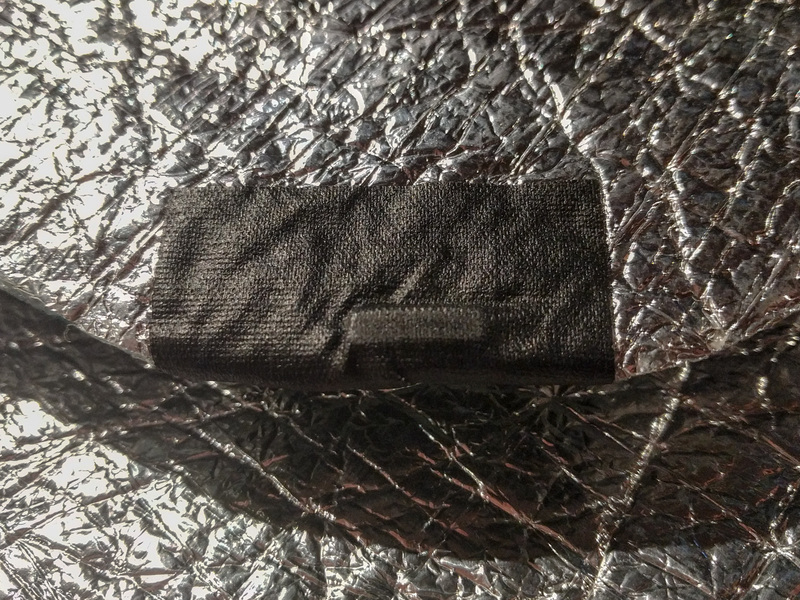 For about a year now, we have just used gaffer tape to stick 1/8″ x 1/8″ x 1/2″ neodymium magnets around the edge of the Low-E. Gaffer tape is a fabric tape that sticks really well, but releases much better than duct tape does when you want to un-peel it. It also looks much nicer than duct tape. It’s become really hard to buy neodymium magnets from places like Amazon now, because apparently kids seem to keep swallowing them or something. If you have an Amazon Business account you can buy them much more easily, or use K&J Magnetics, who sell pretty much every type of magnet you could want. 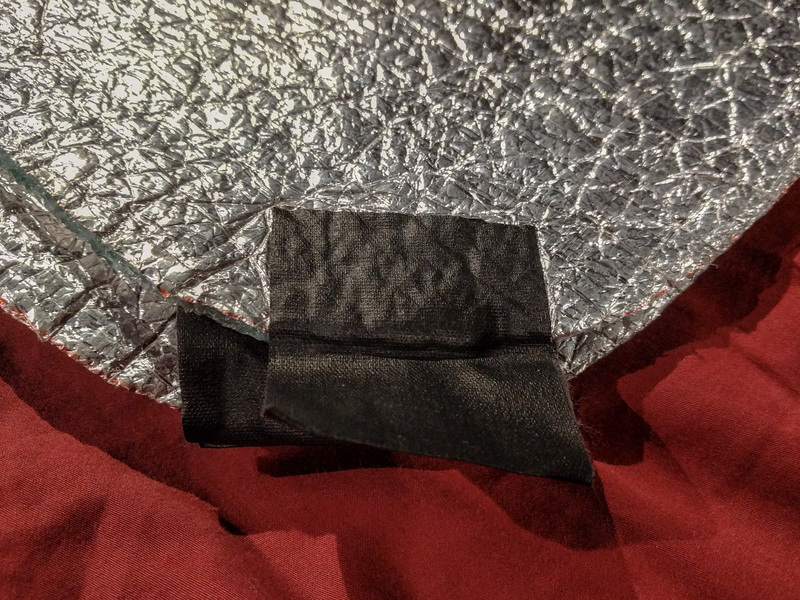 We used a couple of additional pieces of gaffer tape to make some tabs that we could use to pull the shades away from the window. The whole silver foil spaceship vibe is getting a little old. Later, we plan on lining the Low-E with some fabric so it looks better on the inside of the van. We might even add a layer of Thinsulate, but we’re not sure that’s necessary. The linings will also mean that the magnets are held slightly more permanently than with the gaffer tape. Having said that, they’ve stayed in place for over a year so we’re happy. Inertiaman from the Sprinter forum bought some Low-E that has a white face on one side rather than foil. It’s a great way to reduce the spaceship feel without having to cover the inside of the window shades. One 25′ roll was just enough for him to make shades for the rear doors, the sliding and driver’s side windows, the driver and co-driver doors, and the windscreen. We made the blinds foldable! They take up a lot less space now when we’re storing them. This post tells you how we did it. Read it before you cut your Low-E to size! I did something similar but the tape with the magnets separated from the low-e after a few months. Do you remember what brand gaffer tape you used and where you bought it? Thanks for the product link! Next PostNext Why did Mercedes put the trailer wiring box so close to the Sprinter’s receiver hitch mount?